Asthma is a chronic inflammatory and respiratory disease caused by an abnormal reactivity to allergens in the environment. Of the several avenues of exploration that are currently being developed, vaccination appears to be the most promising approach. In a publication soon to appear in the review Human Gene Therapy, the research scientists at Inserm and CNRS ( Institut du thorax, CNRS/Inserm/University of Nantes) reveal an innovatory vaccine against one of the allergens most frequently encountered in asthma patients. After vaccine was directly injected into the muscle of an asthmatic mouse, a nanovector significantly reduced both the hypersensitivity to the allergen and the associated inflammatory response. Allergic asthma is a chronic respiratory disease that affects 300 million people throughout the world. The number of people suffering from asthma has doubled over the last ten years and almost 250, 000 people die prematurely from this problem each year. In most cases, asthma is caused by an abnormal reaction to substances in the environment known as allergens. From a physiological point of view, this hypersensitivity results in serious inflammation of the bronchial tubes and the bronchioles in sensitive persons. This alters their ability to breathe correctly. Current treatment consists in administering corticoids that treat the symptoms and temporarily relieve the disorder, but without curing it. An alternative, long-lasting treatment for allergic asthma is based on a specific immunotherapeutic protocol commonly known as desensitization. Repeated, increased doses of the allergen are administered in order to decrease the hypersensitivity and reduce the symptoms in the event of subsequent exposure. However, the efficiency of this protocol is limited and varies greatly from one patient to another. Then the research scientists came up with the idea of a vaccination technique using the DNA of the allergenic substance. Rather than administering repeated doses of allergen extract in order to reduce sensitivity, we worked on specific DNA sequences of the allergen responsible for the allergy. 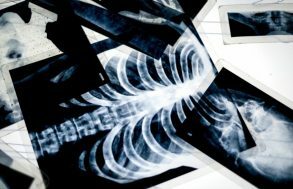 “Several studies demonstrated the therapeutic potential of this strategy, but we still had to find techniques that were reliable in human beings”, explains Bruno Pitard, Director of the Biotherapy Innovations team at the Institut du thorax (CNRS/Inserm/University of Nantes). Using these techniques on human subjects meant that the treatment had to be efficient when only a small dose of DNA was injected. The researchers first tried proving the efficiency of this DNA-based vaccination against the specific allergen Derf1, using a relevant animal model developed by the Bronchial and Allergic Pathologies team led by Antoine Magnan. In Europe,Dermatophagoides farinae 1 (Derf1) is a very common allergen carried by the dust mite Dermatophagoides farinae. More than half of patients presenting allergies to dust mites produce specific IgE type antibodies (Derf1) against this substance that are characteristic of asthma. 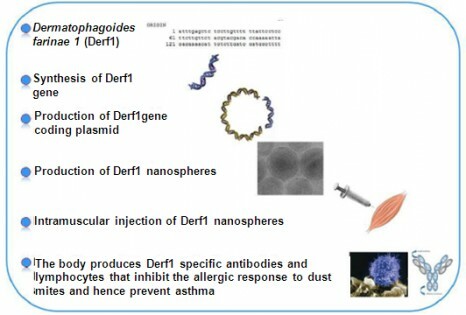 In practice, the researchers associated useful genetic sequences of the allergen Derf1 with a nanovector consisting of a synthetic polymer. This DNA sequence, transported by a sort of “molecular taxi” into the muscle cells that ensure protein synthesis of the allergen, modulated the allergic response in asthmatic animals (1). The vaccine developed in a healthy mouse model was then optimized in a model composed of asthmatic mice. In the asthmatic mice, the vaccine triggers the production of specific anti Derf1 antibodies and a specific cellular response to Derf1, so that the immune system reacts with a protective non-allergizing response when the body comes into contact with the allergen. Two injections were administered at 3 weekly intervals. They significantly reduced the hypersensitivity of the airways and the levels of inflammatory cytokines, that were found in the lungs of asthmatic mice that had not been vaccinated. These new results validate the whole potential for the use of this new nanovector in DNA vaccination. 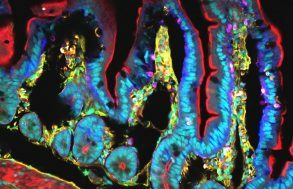 It is currently undergoing regulatory pre-clinical development with a view to future clinical trials in humans.